Once in a while I make a decision that seems like a fantastic idea, then it terrifies me and then proves to change my life. Agreeing to write Artisan Bread in Five Minutes a Day with Jeff in 2005 was one such moment. Recently, I gave my dad a gift that falls into the same category. He has been going into the BWCA (Boundary Waters Canoe Area) on the Minnesota/Canada border for decades. He’s gone alone, he’s taken my brothers, he’s taken my sons, but I have never gone. To say I am not a camper is an understatement. I like memory foam and a thread count on my sheets that you can’t buy at REI. So, when I asked him to take me camping in the BWCA, he was thrilled and booked the date before I could change my mind, which I have considered many times. I am so excited, slightly terrified and I’ve heard many people say this is a trip of a lifetime. I have no doubt I will come back a changed woman. The recipe that excites me most in our latest book, The The New Healthy Bread in Five Minutes a Day, is the easy Sourdough Starter. I’m an admitted baking geek, so spending hours on a recipe can be exciting to me, but I know this concept sounds like work to some and just terrifies others. That’s why Jeff and I set out to write these books in the first place, being able to compel busy people to bake bread at home has been our mission. Now you can also create a sourdough starter; easily, without fear and without dedicating your whole day to the project. In fact, it only takes a few minutes a day to get your starter up and running. It really is that easy, but it takes several days to get your starter strong enough to actually use in a batch of bread. 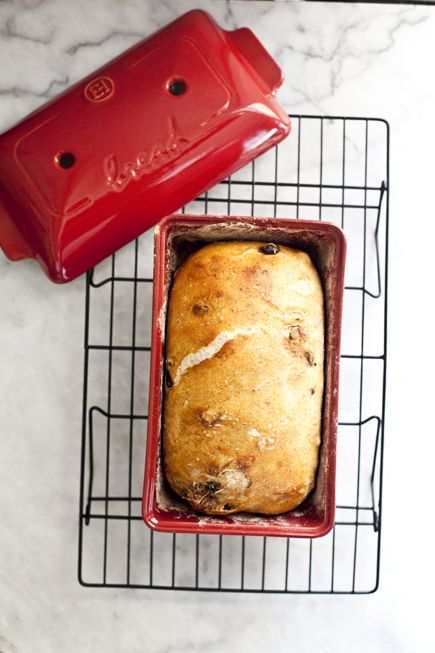 Until it is ready to go, you can always bake any of the other yeast filled recipes in our books. 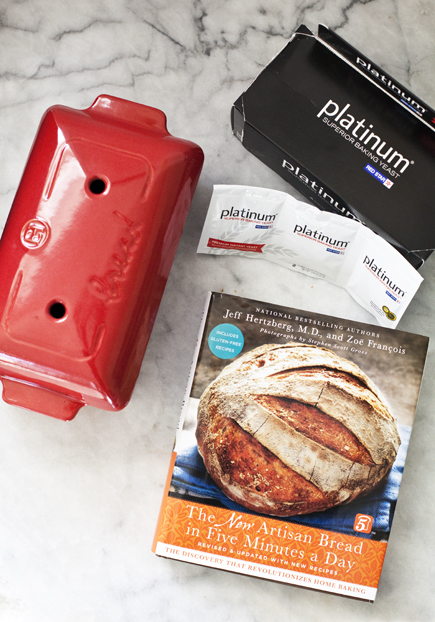 All you need to make your sourdough starter is flour, water and a container to keep it in. Nothing special or fancy. Just make sure the container can hold at least two quarts of starter. You’ll see some Baking Bloopers below of what happens if your container is too small. Once you have created your starter you can use it to bake beautiful loaves, with or without added yeast. 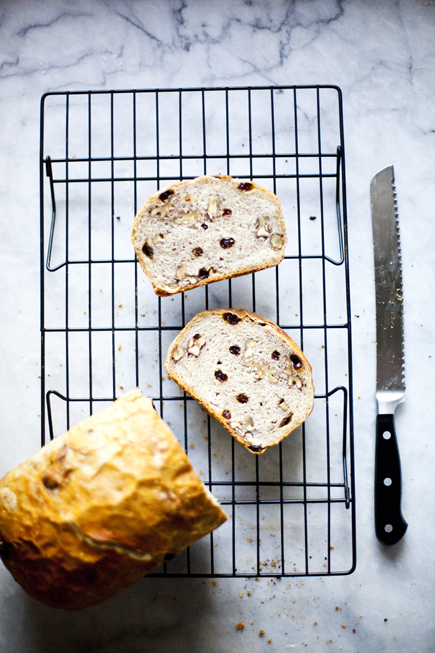 The flavor is incredible and you will still be making a large batch of dough and storing it for up to a week, so you will do the work on one day for many loaves.